If you’re coming to the Coachella Music Festival, take some time to look at some smashing buys, and call local Realtor, Kim Kelly at 760-285-3578. 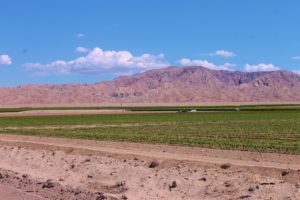 Coachella Land Activity: What’s been happening or not happening in the Coachella Valley Land market? I’ve been showing Land Parcels frequently the first Q of 2019, and parcels are selling. Both Build able lots, vacant land parcels, and equestrian Farms. Residential property sales closings have decreased in the Coachella Valley, BUT homes in great locations, and priced well are still being snapped up. Pretty much the same for Land. If a sellers’ price/acre is correct, and the property offers a good location/views/improvements, it will sell. For your FREE evaluation, give Kim a call at 760-285-3578. 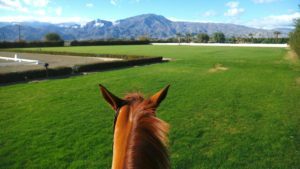 The Coachella Valley offers many equestrian options for Equestrians! Vacation Rentals for Horses??? The Luxury Lease real estate business is HUGE here in the Coachella Valley. The Equestrian business is HUGE here in the Coachella Valley. Why not merge the two?? Well, some great entrepreneurs have captured the idea and are moving into the market. Much of our equestrian business is seasonal; horse owners haul their horses into the Valley, compete, and haul them out again. That means road trips for the horses! Looking for horse property help, give me a call at 760-285-3578. Vista Santa Rosa offers Land & Equestrian Properties for sale, and PEACE for free! Vista Santa Rosa; Eastern Coachella Valley. When people come to our beautiful Coachella Valley, most of them know the Desert cities named Palm Springs, La Quinta, Rancho Mirage, Palm Desert, Indian Wells, Cat City, Indio, and some even know about Thermal and Coachella in our East Valley. Vista Santa Rosa, an unincorporated area of approx. 20 sq. miles in size, is a special part of our Eastern Coachella Valley, and it is a rare occurrence that visitors know anything at all about the unincorporated Policy Area called Vista Santa Rosa. Vista Santa Rosa Land Parcels: Range from approx. $32,000/acre for raw land to approx. $110,000/acre for farm land nearer to La Quinta. 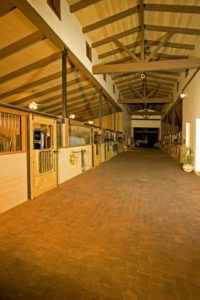 Equestrian Homes: Hard to find! Take the tour of 51600 Jackson St. below. $1,649,000 this 5 acre farm has a custom home and guest quarters. Fixers can be found for approx. $500,000 on an acre of land to a custom estate on 20 Acres, listed at $5,9 million! 51600 Jackson St., Indio, CA., $1,649,000 I rarely get a Listing that is as timely as this piece of desert Land. 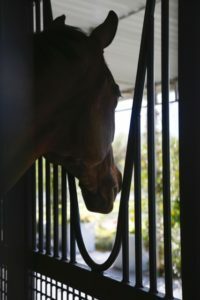 Season has not hit yet, and the Coachella Valley Equestrians haven’t arrived in the Valley yet. What a beautiful piece of the Desert! Desert Land parcels that are as small as this one, at approx. 5 Acres are hard to find. What sets it apart, is that there are TWO homes on it! One is a custom home built in 2008, and the other is an income producing Guest home. The LOCATION is what really makes this property a standout..approx. 1.5 miles from the Coachella Valley Music Festival! Why is that so important? Read on, then give me a call at 760-285-3578 for your personal viewing. Just Listed: 51600 Jackson St., Coachella, California. A rare, unique opportunity has come available in Coachella, California for just $1,649,000. This privately gated, completely fenced Estate is located at the end of a cul-d-sac, shared with just two other property owners. Beautiful, custom gates, sweep open to a Palm tree lined entry drive, with views over green paddocks, to the custom home sitting on an elevated site, with startling Mountain views. Such a beautiful property, and if you are thinking about owning a venue with potential Corporate Lease possibilities, this farm could be it! Call me for your private tour today. 760-285-3578. Where are the HORSE people buying? Where are the HORSE people buying? The Coachella Valley is very popular with horse owners. We have a ton of open land if you like to trail ride, Internationally acclaimed Polo Clubs if you’re a Polo player, and the HITS show grounds if you prefer hunting and jumping. When you’re in the desert with your Equestrian pals, there are two ways to go..buy a horse property so you can actually sleep with your ponies, OR buy a condo or house, and board the horses. Either choice gives you lots of options in the Coachella Valley. If you are looking for a house, or a house with some acreage, vacant land or just a seasonal house, give me a call at 760-285-3578. Horses and the Coachella Valley just fit together! 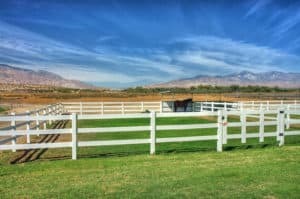 Coachella Land & Equestrian Property Update: Lots of activity in the Coachella Valley when it comes to Land and Equestrian Properties. Land values are pretty consistent, although the selection of parcels continues to narrow. Equestrian Farms are difficult to find right now, although season should loosen up the market..hopefully. The natural fit between horses & the Coachella Valley horse activities, working Farms, and Land with Equestrian potential is obvious. 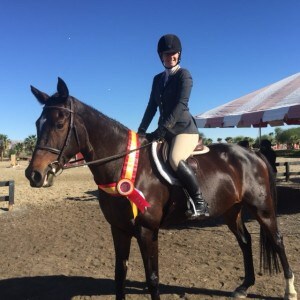 Our affordable, open spaces, easy access to riding trails, as well as our Internationally renowned HITS Horseshow, Thermal and the Empire and Eldorado Polo Clubs continue to draw interest and investments from Equestrians. I’ve been a local Equestrian for over 30 years, and can get you any info. you need..760-285-3578. Nothing like coachella Valley land as seen from horseback! 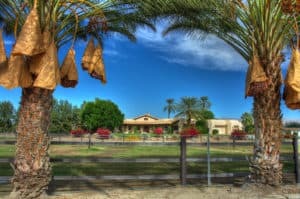 Land and Equestrian Property in the Coachella Valley is continuing to move. Equestrian Property Update for 2017. Price/Acre is NOT zooming up, but there is a steady increase in value. Average price/acre is now approx. $30-$50,000/acre, BUT it is different all over our Coachella Valley!! The further West you go, the higher price/acre..of course! As a buyer buys nearer to La Quinta and Western Indio, land of the Music Festivals, a buyer will pay more. Interested in getting more information on Coachella Valley land and Equestrian Property Values? Call me at 760-285-3578.